Next, we look at some statistics for creating hotel distribution strategies tailored to guests’ regional preferences and what it means for building your campaigns. 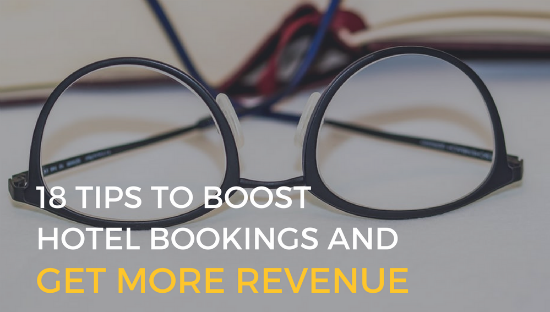 We then finish up with 18 tips to boost bookings and reviews in an infographic by Netafffinity. Trivago invested €260.1 million on advertising in the second quarter of 2017 — an amount that equals 87% of its total revenue (€298.3 million) during the same time period. Trivago invests a significant portion of its earnings back into marketing, and, as a result, has raised its brand profile considerably. 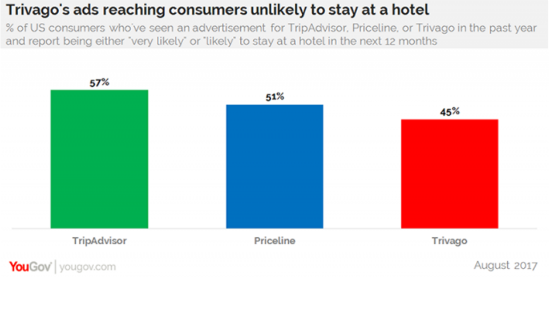 At the same time, however, YouGov numbers show that Trivago might be missing an opportunity to drive even more sales through advertising due to inefficiencies in targeting the right audience. 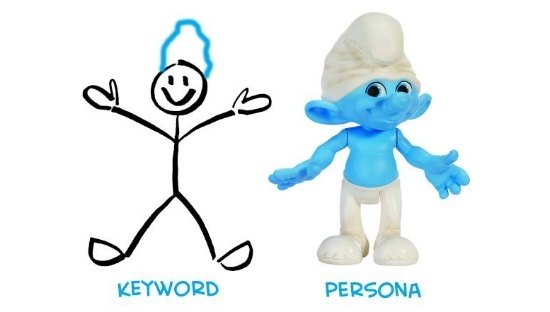 It is recommended that you create 3 to 5 personas to represent your audience; this number is high enough to cover the majority of your customers yet low enough to still carry the value of specificity. You want to know who the person is, what they value, and how best to speak to them. The distribution strategy that led your hotel or chain to revenue growth last year won’t necessarily continue to be successful in the months ahead. 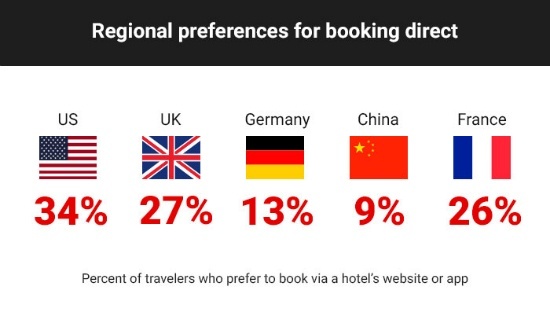 This is because many variables affect guests’ shopping and booking choices, including regional and cultural differences. While new technologies open up more opportunities for travel shopping, travelers’ willingness to embrace those channels varies by region as well as by demographic. At the same time, changes in economic and political environments also impact hotel guests’ travel needs and choices. These variables are constantly in flux. Understanding what influences guests to book, and most importantly book directly with your hotel, is the key to replicating that success. Tricks of the hotel trade are many, but taking note of what works for your hotel in your specific market is what’s important – what works for a city-centre boutique hotel won’t necessarily work for an idyllic countryside hotel with a spa.